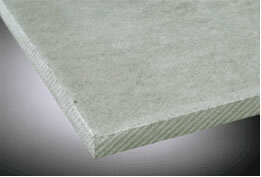 H-91 (1000ºF Fine Grain Alumina Cement Composite Board) - Foundry Service & Supplies, Inc.
H-91 is an ultra-high temperature, asbestos-free, high density, fiber reinforced composite cement board with a substrate of high alumina cement. This, combined with selected fillers, gives H-91 unsurpassed strength at elevated temperatures up to 1200ºF (649ºC). The material can bcell nameither sodium silicate dipped or silicone impregnated to minimize water absorption making the material suitable for electrical applications, especially in humid conditions. 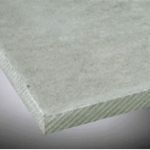 Its unusually high temperature capability and exceptional strength at temperature make H-91 ideal for applications above the 600-900ºF threshold at which most other cement boards fail. 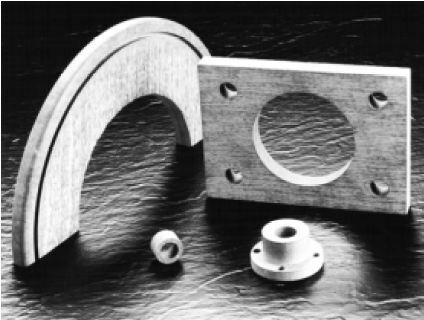 Applications include induction furnace insulation, billet heater boxes, molten metal splash guards, and mold base boards. 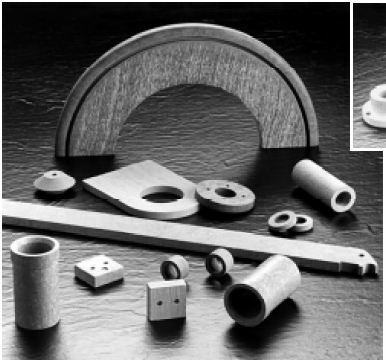 Extremely low thermal conductivity and high compressive strength make H-91 a cost-effective material for high temperature press insulation and hot glass handling parts such as takeouts, deadplates, sweepout pads, and stacker bar insulators. Its excellent machinability makes H-91 ideal for intricate high temperaturcell namelectrical insulators and other precision machined components. Foundry Service and Supplies is a full-service fabricator with an unmatched reputation for quick turnaround and competitive pricing. 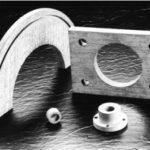 We can easily handle any job for fabricated parts or stock sheets, from high production quantities to prototypes. Our quality and reliability make Foundry Service the best choice for all of your high temperature material requirements.